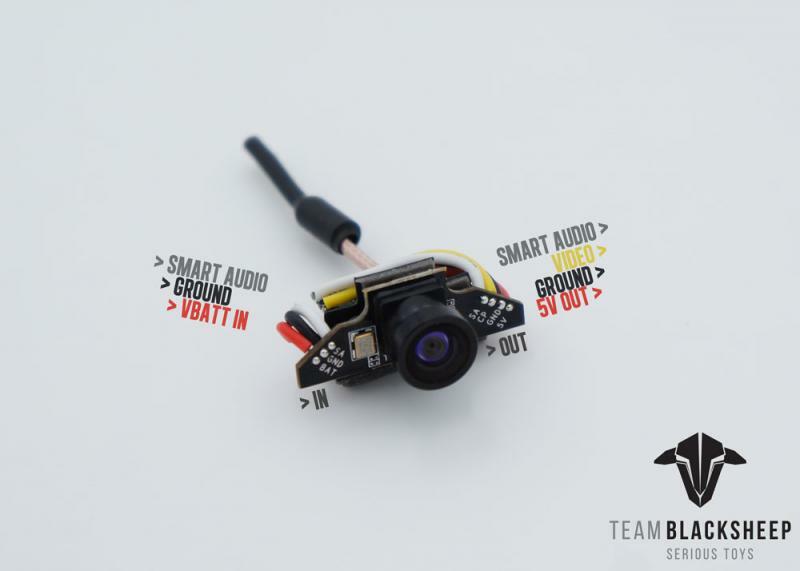 The TBS Tiny camera is amazingly tiny and lightweight, perfect then for micro builds. It comes with a PVC housing with 3M adhesive tape for easy mounting. It pairs really well with the TBS Unify Pro Nano VTX, although you can use it with any FPV VTX. The power input is 1S or 5V.